Reachable Resource. Shops Must Consider Investing in Technology. Combating talent pool drain, shops of all sizes must consider investing in technology to alleviate pain points on the shop floor. October 2018 – Pockets of lost productivity are hiding behind the bustle of the fab shop floor, slowly eating away at profits and productivity. At Tube Supply in Houston, “Rosie,” named after the robot maid in the cartoon, The Jetsons, frees up workers to take on more complicated tasks. The smallest shop Allford worked with consisted of one man fabricating valves. “We went in and designed a machine to automate the process. Soon he purchased seven more machines and ended up selling his company for more than the cost of the machines he bought from me—by a long shot. He’s retired now, raising exotic animals,” Allford says. Fabricators compete for the same dwindling talent pool. Investing in new technologies is an important part of attracting new talent, says Willem Sundblad, CEO of Oden Technologies, which provides data acquisition hardware and process analytics software for manufacturers. Shops needn’t overhaul equipment either. Analytical tools can connect to machines new and old. 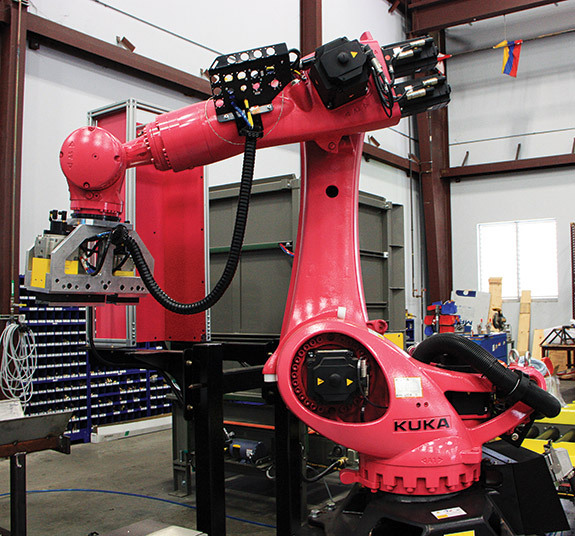 Fabrication shops are prime targets for collaborative robots and the “out of box experience” of Universal Robots’ cobots means it takes less than an hour to unpack, mount and program the first simple task. Automating allows for repeatability throughout the manufacturing process, but the press brake station isn’t the only pain point for fabricators. “Forming parts inconsistently affects welding, assembly and other downstream processes—one guy might work the material differently from the next. Between multiple [stations], multiple shifts—there’s a potential for variation and error that automating will eliminate,” Poole says. The chairman of Trellidor Israel Group, a security barrier manufacturer, says he discovered Rethink Robotics at an exhibition. “We have quite a few big robots dedicated to one job and we wanted a more flexible robot that could do many odd jobs, especially taking a part from a stand to a press for punching and then packing,” explains Henry Zimmerman. As a result, workers previously burdened with manual tasks were freed to work on other, more complex processes. Metrics are revealing and using that data to plan for the future is an integral part of surviving as a business. Bridgr serves as a broker, linking shops with the technologies available to best suit their operations’ goals. “A company might come to us explaining that they believe they need a robot to become more efficient but after some research, our team may find out it’s cheaper to use different software or different tools,” Boutouchent says. 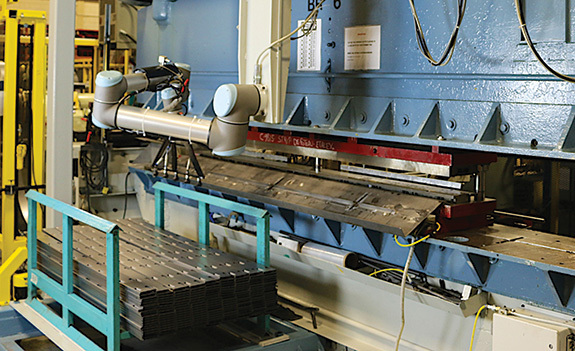 Mundane, repetitive tasks such as machine loading, welding, plasma cutting, deburring, sanding, polishing, riveting and quality inspection are now handled by UR cobots. At Tube Supply in Houston, Paul Sorensen looks at long-term strategy to stay competitive in the oil fracking sector. “Investing in the future of our industry meant installing robots,” he says. The company employs 70 workers over its three locations spanning North America and fabricates/cuts steel for major oil tool manufacturers. Rosie will soon have a counterpart as Tube Supply prepares to install “The Hulk” next year to keep pace with demand. Robots must be versatile, able to change between work stations easily and frequently if necessary. “Accessories are also important. We developed five different ClickSmart gripper kits to help customers handle material easier so there is less human involvement, allowing for that talent to be allocated elsewhere,” says Rethink Robotics’ Fair. Without much effort, Sawyer can be moved anywhere within a shop. Using integrated vision systems, the module allows the user to check for quality issues, and adjust part position within the machine they’re running. “Simple ideas like a QR code decal on each work station allow the robot to identify where it is located in the shop, allowing it to start working immediately,” Fair explains. “The robot’s camera knows where it is and starts running the task without any operator input. “Metal fab shops stand to benefit in particular because our Sawyer robot has a 4 kg payload with max reach of 1,260 mm, allowing users to delegate it to run dangerous or dirty tasks with long cycle times where humans are usually waiting around for the machine to complete,” Fair says. Opening up more complicated and critical thinking-geared tasks to shop floor operators will benefit both employer and employee alike. “We are facing a looming skills gap in the manufacturing industry that we need to bridge by all means possible,” says Universal Robots’ Østergaard. Facilitating knowledge creation and access to robots are an important step in that direction. 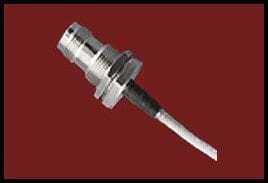 Coaxicom designs and manufactures an extensive line of standard, as well as custom microwave and RF Connectors all available in 50 or 75 Ohm impedance. We have proudly served Customers in industries including the US military, automotive, medical, instrumentation, aerospace, defense, telecom, wireless, alternative energy and more. Coaxicom is committed to providing outstanding service, value and quality with our made in the USA RF Connectors and Cable Assemblies since 1984. To receive a free Coaxicom Package including a 90-page catalog and sample connector pack, please fill out the form below. 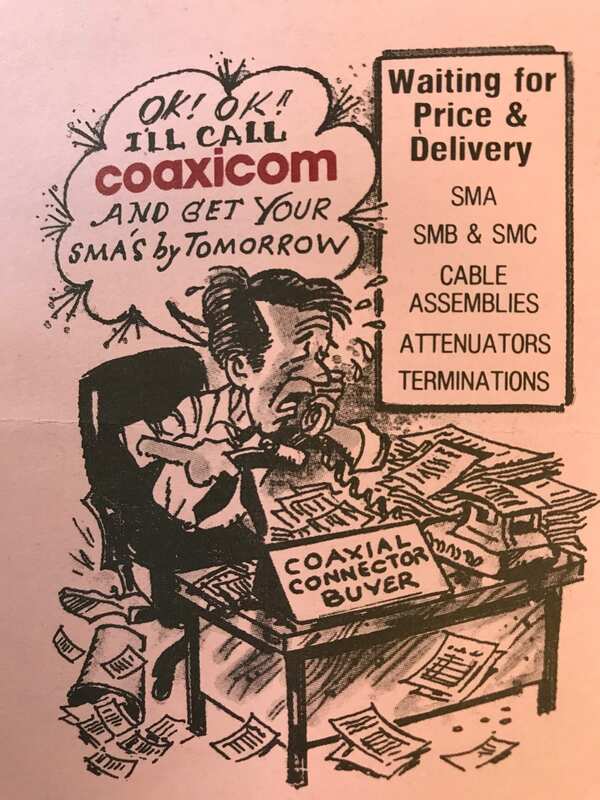 Coaxicom…Connecting Customers to Quality Components Since 1984. Sign up here for your complimentary welcome package! The Importance of Radio Spectrum. The radio spectrum is the radio frequency (RF) portion of the electromagnetic spectrum. 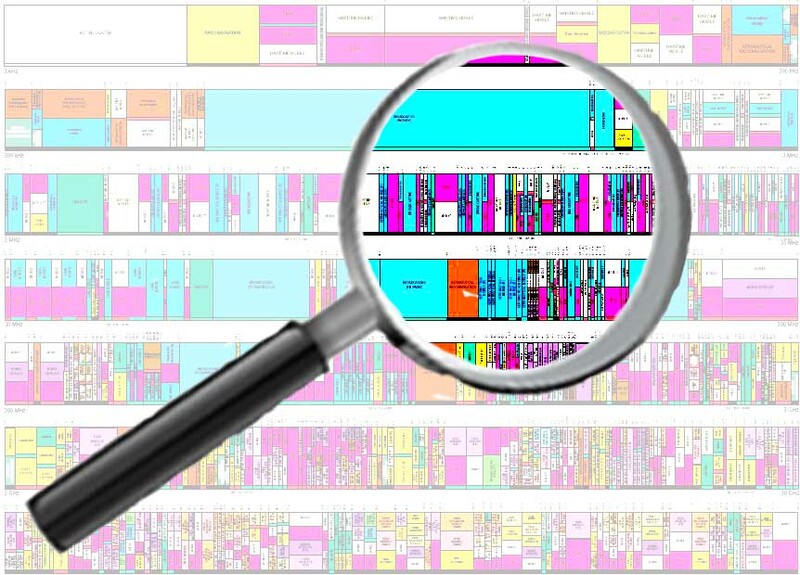 In the United States, regulatory responsibility for the radio spectrum is divided between the Federal Communications Commission (FCC) and the National Telecommunications and Information Administration (NTIA). The FCC, which is an independent regulatory agency, administers spectrum for non-Federal use (i.e., state, local government, commercial, private internal business, and personal use) and the NTIA, which is an operating unit of the Department of Commerce, administers spectrum for Federal use (e.g., use by the Army, the FAA, and the FBI). Within the FCC, the Office of Engineering and Technology (OET) provides advice on technical and policy issues pertaining to spectrum allocation and use. Currently only frequency bands between 9 kHz and 275 GHz have been allocated (i.e., designated for use by one or more terrestrial or space radio-communication services or the radio astronomy service under specified conditions). OET maintains the FCC’s Table of Frequency Allocations, which is a compilation of allocations. Electromagnetic Spectrum: The electromagnetic spectrum, showing the major categories of electromagnetic waves. The range of frequencies and wavelengths is remarkable. The dividing line between some categories is distinct, whereas other categories overlap. Microwaves encompass the high frequency portion of the radio section of the EM spectrum. [Stuart, Florida, October 9, 2018, coaxicom.com] – Coaxicom is located in Stuart, Florida and serves the military/defense, aerospace, medical, telecom, wireless, energy and transportation industries for over 30-years. And we are proud to have a long tradition of serving NASA, U.S. Navy, top universities, telecommunication innovators, and several National Research Labs. But what makes Coaxicom so unique is the kind of quality, expertise and support that should be expected from a components manufacturer in the United States. Our team is small and smart with decades of experience in engineering. machining, assembly and quality control/inspection. Celebrate the Explorer in All of Us: Columbus Day. No matter which side of the Christopher Columbus debate you may be on…. today is a good day to celebrate the wonderlust and curiosity that lives in most of us. Throughout history people have always wondered what was beyond the next mountain, ocean, river, or even planet. Explorers are people who have blazed the trail in going to new places, and revealing what is beyond our own line of sight. The reasons for exploration can vary widely. Most explorers certainly like the adventure of going to a new place, meeting new peoples and cultures, or taking on new challenges. Trade – Many countries and rulers funded explorers in order to find new trade partners and goods. In some cases they hope to find new trade routes that would help them to transport goods cheaper than their competitors. This was the case of Vasco da Gama and Christopher Columbus. Science – In many cases, explorers are scientists hoping to learn about nature and new parts of the world. They may be hoping to find a new species of animal or type of plant or soils. Land – Many explorers claimed the land they found in the name of their country. Countries like Spain, Portugal, and Great Britain amassed huge empires during the Age of Exploration. Challenge – Many explorers want to test their personal limits and be the first in the world to do something. These types of explorers include the men who raced to be the first to the North and South Poles, the top of Mount Everest, and to the Moon. Considered by Many The Most Famous Explorers So Far…. COAXICOM designs and manufactures an extensive line of standard, as well as custom microwave and RF Connectors. We proudly serve some of today’s greatest innovators and explorers including NASA, Boeing, U.S. Navy as well as companies advancing how we live through 5G telecommunications/wireless, alternative energies, and network security. Since 1984, Coaxicom also offers world-class manufacturing capabilities necessary to deliver the quality and reliability our customers demand including Military specifications MIL-PRF 39012, MIL-A 55339, MIL-C-83517, and MIL-STD-348 as applicable. Need the right answer at the right time, get in touch with Coaxicom. Email a RFQ to Dawn at Sales@Coaxicom.com. Your quote will be in your “in-box” soon. Engineering questions? Visit the Coaxicom‘s engineering section Coaxicom.com/engineering for helpful tips! With a few quick clicks you might just find the answers…and wahla… problem solved. Starting a new project and not sure if you need a Connector or an Adapter…send your questions to Support1@Coaxicom.com. Use our instant Cable Assembly Builder Tool for standard, custom, and high-performance cable assemblies. Know exactly what you need? Perfect! Simply go to Coaxicom.com… type in the Coaxicom part number or use the Cross Reference Tool, add to the cart, and your order will arrive before you know it! Learn more about our RF Connectors. See the selection of Torque Wrenches. Or download the Coaxicom Product Reference Sheet here. Six decades since the space agency opened its doors. Where it’s been and what’s next. Here’s a look back and forward. 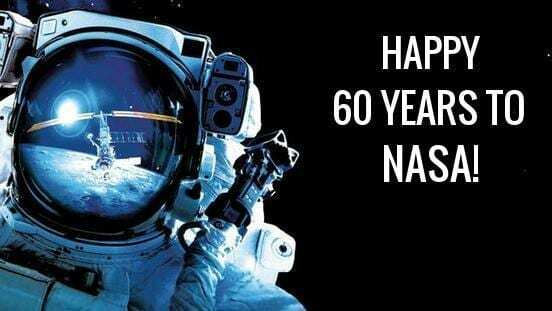 NASA is turning 60 on Monday, October 1. Over six decades, it’s had a remarkable run of rocketeering and exploratory achievements, from the moon landings to the space shuttles, from the surface of Mars to destinations far beyond our solar system. And as space becomes just another place to do business, NASA looks to keep its edge as it is facing an identity crisis. Blame people like SpaceX’s Elon Musk and Amazon’s Jeff Bezos in part for that. They’re in the vanguard of a new wave of commercial activity that’s launching into what had for so long been the exclusive domain of government agencies, both in the US and abroad. NASA’s 60th anniversary is an occasion, then, to look both back to a settled past and ahead to an uncertain future. The agency long-associated with America’s scientific prowess and can-do spirit got its start in one space race. Its next challenges lie in a new race to return humans to the moon and to push onward to Mars. How it all began. Click video below. NASA wasn’t started from scratch, however. It took over from the National Advisory Committee for Aeronautics, or NACA, which had been created during World War I and which had already begun experimenting with rockets. What were some of NASA’s first achievements? On Oct. 11, 1958, NASA launched its first spacecraft, the Pioneer I. 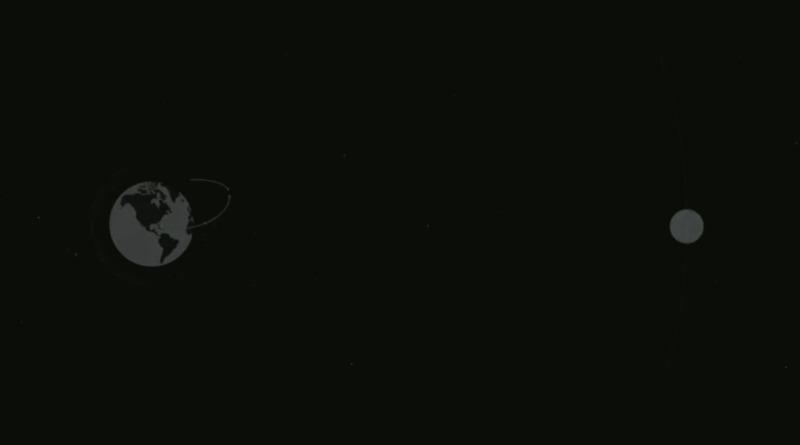 Five months later, Pioneer 4 made the first lunar flyby, and in April 1960 it recorded the first TV images of Earth from space, thanks to the TIROS meteorological satellite. But the really big early moments came from putting humans into space (again, after the Soviet Union got there first) through the Mercury space program. On May 5, 1961, Alan Shepard became the first American astronaut, making a 15-minute suborbital flight, and on Feb. 20, 1962, John Glenn became the first American to orbit the Earth. What are some of NASA’s other most memorable moments? There’s one that stands out from all others: Apollo 11 and Neil Armstrong’s “one small step” on the surface of the moon. That achievement in July 1969 probably remains NASA’s most iconic moment after almost half a century. But there have been others. For three decades, launches of the US space shuttles — with their airplane-like design, they were the first reusable spacecraft — made regular headlines, including numerous trips to the International Space Station, where astronaut Scott Kelley set a record by living in orbit for an entire year. Let’s not forget the landing of multiple rovers on Mars, sending the Voyager spacecraft beyond the edge of the solar system and all the many discoveries and breathtaking images sent back by spacecraft including Cassini, Hubble and Kepler. Hasn’t NASA also had quite a few notable problems? Yes. Almost from the start, NASA discovered that failure is a part of space exploration, sometimes at the cost of human lives. Apollo 1, the first manned mission of the Apollo program, ended in tragedy in January 1967 when a fire during a test killed all three crew members. Tragic accidents also led to fatalities aboard space shuttles Challenger and Columbia. NASA also has a history of missed deadlines and budget overruns that are a constant source of criticism. One of the agency’s most notorious self-inflicted wounds came with the launch of the Hubble Space Telescope, which cost over 10 times the original estimates and which at first returned blurry images because of a flawed mirror. The flaw was eventually corrected, and the space telescope is still sending back remarkable images today. But NASA’s reputation is well-earned: Hubble’s successor, the James Webb Space Telescope, is mired in delays and cost overruns. What has NASA been doing lately? At any given time, NASA has myriad projects, missions and research under way or in various stages of development. Right now the Juno spacecraft is surveying Jupiter, Curiosity is still roving around Mars, the newly launched Parker Solar Probe is on its way to the sun, OSIRIS-REx is approaching the asteroid Bennu, new low-boom supersonic aircraft are being developed and on Sept. 15, a NASA satellite to observe Earth’s sea ice and ice sheets will be launched. [STUART–COAXICOM.COM] – Coaxicom, a recognized aerospace and defense supplier with customers that include NASA, United States Navy and several National Labs offers innovative design and world-class manufacturing capabilities. And the entire team here at Coaxicom would like to take this opportunity to express how proud and pleased we are to be a small part of NASA’s vast and remarkable journey of accomplishments. Solely owned and entirely based in Florida. Coaxicom, inventories thousands of standard RF/Microwave components for quick assembly and immediate shipment. And while delivery speed is important, quality is the driving force. Coaxicom components go through quality control review not just at the end but throughout the manufacturing process. This multi-tier inspection check maintains quality and product integrity that meets Military specifications MIL-PRF 39012, MIL-A 55339, MIL-C-83517, and MIL-STD-348 as applicable. Learn more about our RF Connectors. 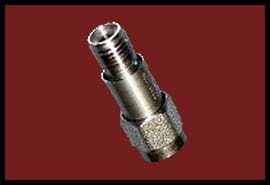 Connectors (all-series), Cable Assemblies, Phase Adjusters, Adapters, Terminations, Attenuators, Dust Caps, Pins, Precision Torque Wrenches. There are many, many reasons why RF Adapters are a necessity… some are anticipated and even planned for…while others well… come as a surprise. And it can be exasperating and expensive to be stalled on a project as you hunt for a very specific connector that may…or may not even exist. This is of particular issue when you’re dealing with multiple cables with differing inputs and outputs. For instance manufacturing and engineering test facilities are continually required to provide connections between the many coaxial series in use. This is certainly true today, where long established connector series (N, TNC, BNC, SMA) must be mated with less common or later interfaces (3.5 mm, 2.9 mm, 2.4 mm, 7/16, SSMA, SSMB, SSMC, MCX, MMCX, 7 mm, etc). 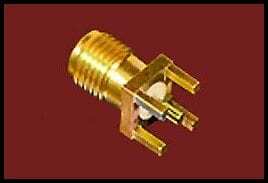 (Shown above: 3218Q-1 SMA Straight Male to Male Slide On Intra Series Adapter-Gold). Request a quote here:Sales@Coaxicom.com. 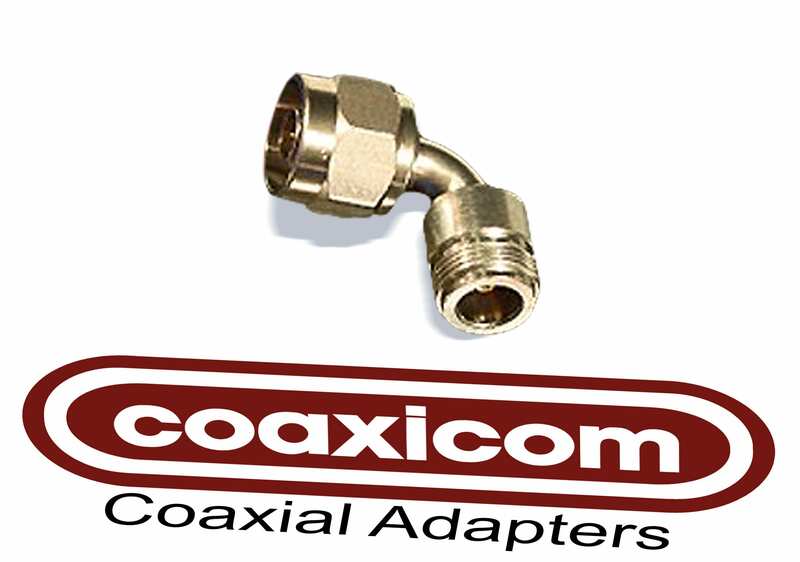 Coaxicom understands the ramifications of job delays which is why Coaxicom maintains a large inventory of common and not-so-common inter and intra series adapters. These highly-capable adapters can deliver up to 40 GHz with a lower VSWR than other supplier’s designs and are suitable for use in most advanced testing demands. Available plating finishes vary but include: gold, nickel, silver, and passivated. Coaxicom can also design and manufacture a custom adapter that will meet exact specifications to ensure a nearly flawless fit and performance. To help locate the correct adapter for your specific needs, visit the Coaxicom Adapter Matrix. Founded over 30-years ago, Coaxicom offers a large in-stock piece part inventory ready for assembly and ship same day. With its manufacturing facility located in Stuart, Florida, Coaxicom is fully-equipped for the design, development and manufacturing of RF connectors, phase adjusters, cable assemblies, terminations, attenuators, DC blocks, transition pins that meet or exceed U.S. military requirements. Dedicated to both quality and service, there is an engineering, quality control, and customer support team that’s easily accessible for any questions, inquiries or quoting. Contact Coaxicom’s at 1-866-COAXICOM (262-9426) or Sales@Coaxicom.com. You can also start your adapter search by visiting www.Coaxicom.com/find-adapters/. For a free product sample, and reference sheet, please complete the requested information. Who Will Really Benefit The Most By 5G? Although there are tremendous benefits to 5G, this new technology will take many businesses out of their comfort zones. It is not an exaggeration to say that the 5th generation of mobile technology will enable the 4th industrial revolution. This technology is what Harvard Business School Professor Clayton Christensen calls a ‘disruptive innovation’ – a technology whose application significantly affects the way a market functions. Set to make its commercial debut soon, early versions of 5G are likely to pop up in Asia as the specifications are universally agreed and the technology is tested. 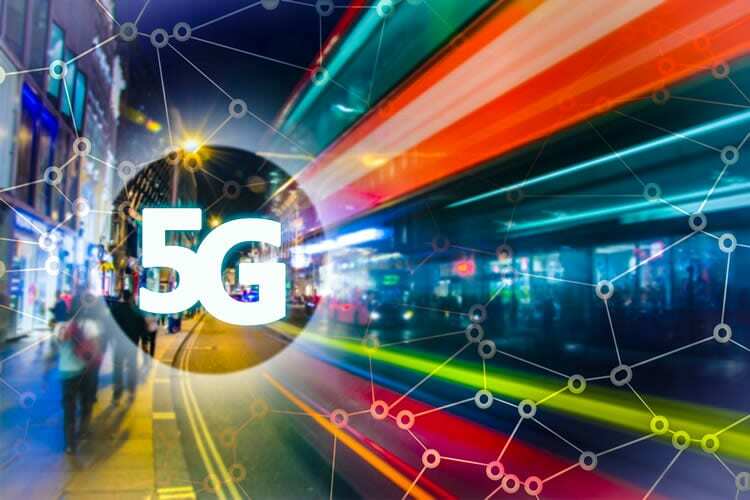 We do however know that 5G has some ambitious goals including very low latency, lower power requirements, higher bandwidth, greater availability, faster speeds and more consistent coverage. Enabling this next generation of network will require significant investment from telecommunications providers and have far-reaching implications for the IT sector overall. But what other sectors are likely to be impacted by 5G? In medicine and healthcare – traditionally slow to embrace new technology – 5G will bring options to relieve pressure on hospital resources, give greater control over assets, offer new methods to deliver training, provide technology supports for mental health and allow more people to access more services faster and at vastly reduced costs through online patient portals. Wearable medical devices, including drug delivery systems will become commonplace and allow chronic conditions to be monitored from home. Using connected ‘wearables’ to monitor patients could save hospitals as much as 40% of their resources, while also giving confidence to clinicians and reassurance to patients. 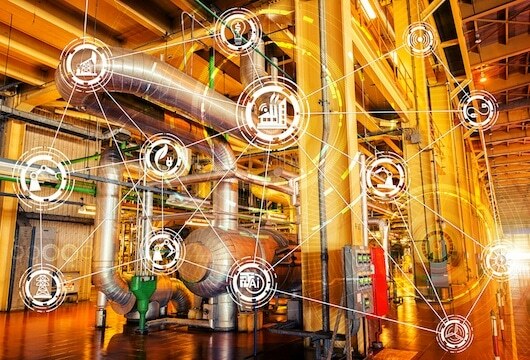 The ‘internet of things’ has been around for a very long time, but 5G will enable larger numbers of connected devices and their data to be collected and analysed. That means for example, a hospital can tag all of its assets, know where they are in real time and allocate them more efficiently. Augmented Reality (AR), a technology that overlays a computer-generated image onto a user’s view of the real world, providing a composite view, will see surgeons as early adopters, using the technology as a training aid. The low latency and high speed of 5G makes this technology frictionless. Virtual Reality on the other hand, offers an immersive experience for a patient, and has applications in the mental health sector where it can be used to relax a patient who may suffer from anxiety or depression. How we get around will also be enhanced by 5G. Words like ‘transport’ and ‘vehicle’ are being replaced by bigger thinking terms like ‘mobility’. Recently, for example Ford declared itself a ‘mobility company’ to signify its focus on the border topic of how people will move from A to B in the future, and what systems and technologies are needed to enable that. The smarter city promises the connection of the city’s systems. Joined-up public transport services, dynamic traffic management, smart parking meters and smarter road infrastructure will all support the arrival of autonomous vehicles. The ultra-fast 5G network with extremely low latency allows a vehicle to communicate with its environment in almost real time. This allows the vehicle to dynamically adjust and react to its changing environment. The major benefit is of course, less accidents and road deaths. Fully autonomous vehicles are likely to evolve through several stages and manufacturers are already implementing autonomous features like ‘autonomous cruise control’, ‘automatic parking’ and ‘lane keep assist’. 5G will greatly speed up this evolution to fully autonomous vehicles and we may see new entrants like Google Auto or Apple Car play an important role in this category. Public transport will be a beneficiary too, allowing connected vehicles to be tracked in real time by customers. IoT technology will enable better planning of fleet maintenance so fewer assets are out of service at any one time. And this in turn should improve scheduling. A report by Ericsson and consulting firm Arthur D. Little released earlier this year, valued the 5G market at $1.23 trillion by 2026. The highest portion, 20% of this market, was attributed to Energy utilities. This dynamic sector is facing many challenges and opportunities much of which will be tackled with new 5G enabled services and applications. As energy grids get smarter, 5G is seen as the important link to support machine type communications (MTC) to protect and control the grid. As the number of smart meters grows, each with their own communication demands, only a high capacity, high band-width infrastructure can support them adequately. And the growth will continue in this sector as electric vehicles become more mainstream. Volvo, for example, have announced the end of combustion-engine-only cars and will shift to all electric in 2019. The growth in charging points for electric vehicles will also grow. Customers will benefit from real time information on energy usage at home and at work, and make efficiency adjustments based on that information. This allows the utility to better balance energy resources. The 4th industrial revolution is powered by robotics, artificial intelligence, the Internet of Things, 3D printing, Augmented Reality and Cloud technologies, all of which will use 5G technology to allow machine to machine communication. This will become the backbone of manufacturing and related services in the future. Virtual Reality tools will allow you to configure and test the production-line design in the virtual world. And augmented reality tools can allow for workers to be assisted remotely to quickly solve problems and reduce travel costs. Automation with robotics is another feature of the factory of the future. About 50% of Flex manufacturing process are now fully automated. This allows for superior levels of accuracy and productivity beyond human ability. Most automation is used for work that would be considered unsafe, impossible or tedious for humans. Because automation tends to be task specific, it is understood that robots will be complementary to the human workforce, and not a replacement. According to Forrester Research, as a direct result of automation and artificial intelligence, close to 15 million new jobs will be created in the US alone (equivalent to 10% of the workforce) over the next decade. The rise of interactive and immersive technology, together with the growth of the consumer as co-creator of content has caused disruption in the media and entertainment sector. Digital content is being served and consumed in a variety of new ways, think Netflix, Amazon Prime, Microsoft HoloLens or Facebook’s Oculus Rift. All of these technologies will become even more mainstream with the arrival of 5G. The growing demand for video presents challenges to today’s cellular networks trying to distribute live video and audio across thousands of devices and multiple mobile network operators. Gamers looking for a VR experience need a better quality network too. 5G is a catalyst for the media and entertainment services market where new business models will emerge forcing better collaboration between network service providers and their suppliers to deliver a better service to consumers. The network will be capable of supporting all use cases and will be scalable to adapt to future demands. We proudly serve Customers in a wide range of industries including the U.S. military, defense contractors, automotive, medical, instrumentation, aerospace, telecommunications/wireless, alternative energy, network security, national research labs, and more. SpaceX’s First Passenger Flight Around the Moon Will Be an Epic Art Project! Japanese billionaire Yusaku Maezawa announced September 17, 2018 that he has chosen to go to the moon in 2023 — and bring six to eight artists along for the ride. During a news conference at SpaceX’s headquarters in Hawthorne, California, company founder and CEO Elon Musk introduced Maezawa as the first passenger on the new BFR (sometimes short for “Big Falcon Rocket”) rocket-spaceship duo currently under construction, and confirmed that Maezawa would ride in a loop around the moon. And then Maezawa announced that, although he’d bought out the whole BFR, he doesn’t want to go alone. Maezawa announced a name for his new project, #dearMoon, and a website, dearMoon.earth, and said that, before the BFR’s launch in 2023, he would select six to eight artists to go with him to space. These people will hail from a variety of disciplines, potentially including painters, sculptors, photographers, musicians, film directors, fashion designers, architects and more, he said. Maezawa is the founder of the Japanese online retailer Zozotown, and he’s a dedicated art collector; in 2016, he purchased $98 million worth of art in two New York auctions, according to a BBC report. One of those pieces was by the artist Jean-Michel Basquiat, whom Maezawa discussed during the news conference: Basquiat died in 1988, but what could he have created had he seen Earth from space? While looking at one of Basquiat’s paintings, Maezawa said, he came upon the idea to inspire other top artists to bring a space view down to Earth. [STUART–COAXICOM.COM] – August, 17, 2018 – Coaxicom, a premier RF & Microwave Components Manufacturer since 1984 offers innovative engineering, design and world-class manufacturing capabilities. Solely owned and entirely based in Florida, Coaxicom, inventories thousands of quality gold, nickel, brass, passivated parts for quick assembly and immediate shipment.And while delivery speed is important, quality is the driving force. Coaxicom components go through quality control review not just at the end but throughout the manufacturing process. This multi-tier inspection check maintains consistent quality and product integrity that meets Military specifications MIL-PRF 39012, MIL-A 55339, MIL-C-83517, and MIL-STD-348 as applicable. Learn more about our RF Connectors. Spotlight: What the MIT Lincoln Laboratory is Now Doing in the World of RF. The facility enables us to fabricate, integrate, and test in anechoic chambers RF systems to ensure they will work well in the field. Laboratory researchers operate a shock tube in an anechoic chamber to quantify blast-wave propagation effects as part of the Laboratory’s traumatic brain injury and auditory health research. 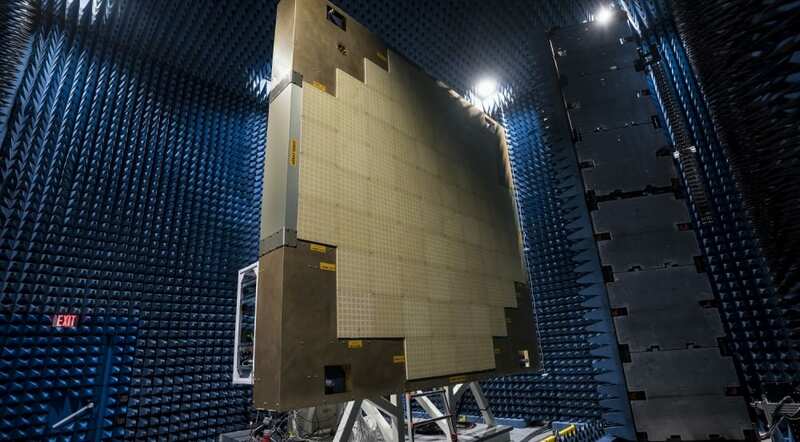 The facility includes six anechoic chambers, specially outfitted with microwave-absorbing material to suppress noise and provide isolation from external signals that could interfere with system measurements. The chambers allow for antenna, radar cross section, electromagnetic interference, and system tests and measurements over a wide frequency range. An ultrawideband array antenna is tested in the compact range anechoic chamber. The three largest chambers — the system test chamber, compact range, and large near-field scanner — can accommodate large, heavy objects by making use of an overhead crane or a rolling gantry with a crane to suspend objects in the chambers. 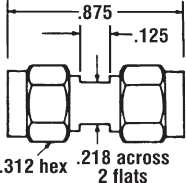 The compact range is used for measuring antennas and radar cross section of targets. The large and small near-field scanner chambers are used primarily to test and calibrate phased array antennas containing hundreds or thousands of transmit and receive modules for electronic beam steering. The millimeter-wave chamber accommodates small feed antennas and arrays, while the tapered chamber features an ultrawideband dual-polarized feed for measuring antennas.The facility also houses a systems integration lab, where staff can work on systems before they are fully tested in the chambers. 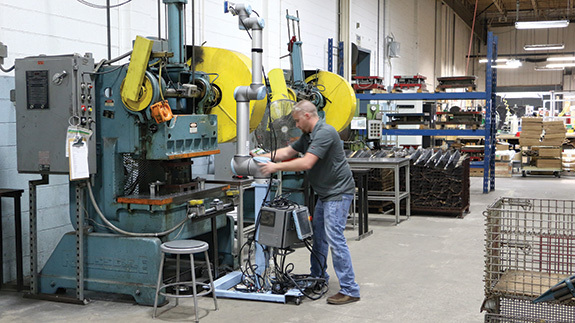 The facility’s rapid-prototyping machine shop has a variety of machining tools to fabricate antennas, target-mounting fixtures, and other mechanical pieces needed to assist in testing. The machine shop also has a high-bay area, allowing for a wide range of mechanical work to be performed on large systems. In the large near-field scanner chamber, the full-scale multi-function Phased Array Radar prototype undergoes beam pattern testing. (content provide by: Lincoln Laboratory, Massachusetts Institute of Technology). [STUART–COAXICOM.COM] – September 17, 2018 – Coaxicom, a premier RF & Microwave Components Manufacturer since 1984 offers innovative engineering, design and world-class manufacturing capabilities. Solely owned and entirely based in Florida, Coaxicom, inventories thousands of quality gold, nickel, brass, passivated parts for quick assembly and immediate shipment. Coaxicom components go through quality control review not just at the end but throughout the manufacturing process. This multi-tier inspection check maintains consistent quality and product integrity that meets Military specifications MIL-PRF 39012, MIL-A 55339, MIL-C-83517, and MIL-STD-348 as applicable. Learn more about our RF Connectors. Manufacturing RF, Microwaves Drive Testing Equipment Decisions. Contract manufacturing radio frequency (RF), microwaves drive testing equipment outsourcing decisions. Connected devices and OEM hardware testing equipment using radio frequency (RF) technology are driving the increase in industrial test equipment opportunities in contract electronics for a number of markets. Industrial test equipment decision makers seeking manufacturing suppliers have highly specific components and final systems integration testing requirements with their manufacturing electronics solutions providers. Markets we are seeing a noteworthy increase in demand for outsourced design and manufacturing solutions include automotive electronics, with the increase in smart meters, connected cars and autos with autonomous driving capabilities, the aerospace/avionics and defense markets, medical devices, the Industrial Internet of Things (IIoT) market, plus the broader wireless communications industry. Another driver specific to the testing equipment industry is end market demand shifting to platforms supporting automated modular instrumentation applications in manufacturing and design validation. These modular instrumentation RF tools include spectrum analyzer and signal generators, network analyzers, power meters and sensors, and electronic counters to name a few. [Stuart, Florida, September 12, 2018] – Coaxicom specializes in the design and manufacture of RF connectors (all-series), attenuators, terminations, adapters, transition pins, torque wrenches, phase adjusters, DC blocks, dust caps and cable assemblies. “Let us cross you” when you are looking for: Amphenol, Americon, AMP, AEP, Astrolab, Automatic Connector, Berg, Delta, Fluke, Huber & Suhner, ITT/Sealectro, Johnson, Kings, M/A-Com, Omni-Spectra, Pasternack, Pomona, Radiall, Solitron/Microwave, Specialty M/W, SV Microwave, Trompeter, TRU, Tensolite/CDI, United M/W, and more. Simply choose a competitor name from the pull-down menu, then type in the competitor part number to get a COAXICOM Cross-Reference. Get your instant download of the Product Reference Guide here. Ok! Ok! I’ll Call Coaxicom.